Jason Christie, hometown favorite, leads the 2016 Bassmaster Classic Day 1 Standings with a 20-lb-14-oz bag. Leading behind Christie is Greg Vinson, Alton Jones, Randy Howell, and Bill Lowen. 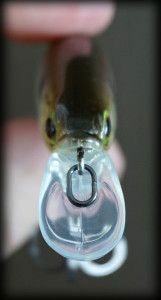 As predicted by many, the recent changes in water levels of the impoundment is proving to make Grand Lake o’the Cherokees a challenge to the Bassmaster Classic anglers; four of which returned with empty bags, and five others, including seasoned angler Mike Iaconelli, caught one fish. 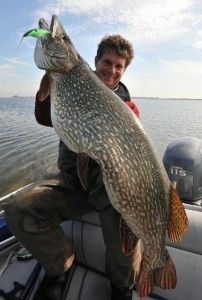 In fact, only 21 anglers returned with full bags of 5-fish. As a point of reference, in 2015 on Lake Hartwell, Day 1 was the coldest Classic day in history, and 24 anglers weighed in Day 1 with full bags. 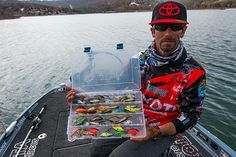 Jason Christie, a Park Hill, Okla., pro who lives just an hour away from the lake, brought five bass to the scales that weighed 20 pounds, 14 ounces and took the opening-round lead in the Super Bowl of professional bass fishing. Alabamian Greg Vinson, who almost missed the event due to the lingering effects of a concussion, is second with 18-1, and Texas pro Alton Jones is third with 17-13. Even after a big day, Christie admitted the fishing was tough. “It was slow. It was a grind, but it was a grind in practice,” Christie said. 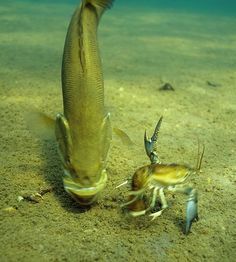 “I honestly didn’t think I had that kind of weight, but the fish up here just fool you because they’re thick and heavy. 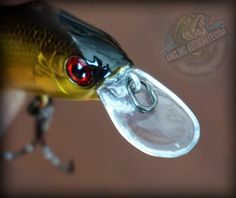 Getting just nine bites during an eight-hour day forces an angler to exercise patience and remain focused through the down time so he doesn’t miss the next bite when it finally comes. Being a local favorite, Christie wasn’t surprised that he drew a large gallery of spectators Friday. He hoped to feed off the energy of the home crowd, but he said all of the down time made it tough to do that. With the daytime temperatures expected to rise into the 70s the next two days and the water temperature continuing to rise into the mid-50s, Christie said he may be forced to change areas. But he was clear that he won’t be changing techniques. Vinson, who suffered a concussion after an unexplained fainting spell in a Montgomery, Ala., movie theatre Feb. 20, rebounded nicely with his catch of 18-1. It was during that early practice period when Vinson developed the pattern that vaulted him into second place. He said he fished all day Friday without seeing another angler. “I didn’t feel like I would catch them in the exact same spots where I caught them in practice,” he said. “But I felt like, if I stuck with that type of pattern, I would eventually be able to get the bites. Best of all, Vinson felt good physically. Jones, who already owns a Classic trophy for his 2008 win on South Carolina’s Lake Hartwell, said his good opening round was a result of a good choice he made prior to competition. The tournament will resume Saturday, with a full field of a 55 anglers leaving Hard Rock Dock at Wolf Creek Park at Grove, Okla., at 7 a.m. The weigh-in is set to begin at 3:15 p.m. at the BOK Center in Tulsa. 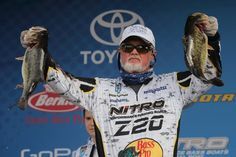 The field will be trimmed to the Top 25 for Sunday’s championship round, with the winning angler claiming a $300,000 prize. Christie will receive $1,000 as winner of the GEICO Everyday Leader Award for leading the first round; an additional $1,500 was awarded to Christie for having a GEICO decal on his boat’s windshield.